At DiSalvo And Company we understand the financial challenges that a non-profit organization must deal with. At DiSalvo and company we have years of experience in non-profit accounting services for charities, churches, and schools. You could say it is one of our specialties. And because we have worked with so many different types of non-profit organizations, we can relate to your needs and find practical solutions to any problems you may encounter. We know that funding is critical for any non-profit, and providing financial transparency for grantors and lenders is key to obtaining donations. With our support, your members and donors will feel confident that your financial system is reliable and your data is irreproachable. 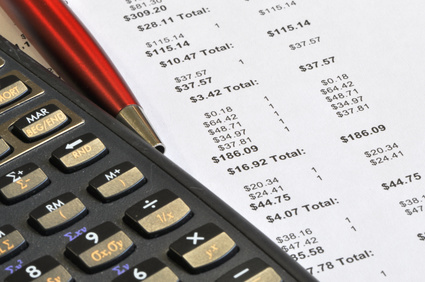 At our firm, our staff knows that keeping on top of your finances is vital, and to that end we’ve developed customized reporting methods that provide a clear picture of your assets and expenses. These reports are designed to let you track where your money is going so you can carefully monitor expenses and keep costs down. 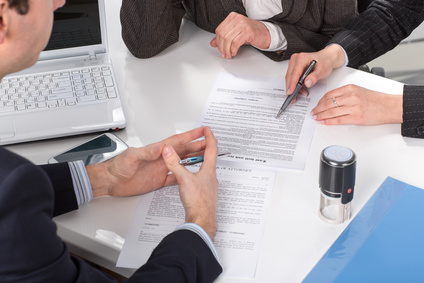 We’ll also help you find efficient ways to exercise internal controls that will prevent fraud. Best of all, with our assistance you can stop worrying about confusing tax compliance requirements. When the IRS hands down changes to tax laws that could affect non-profits, we’re on top of it. We’ll offer sound advice on how to avoid unwanted scrutiny from the IRS and how to steer clear of any income-generating activities that could incur tax liability. We’ll also prepare your Form 990 tax return at year-end and file it electronically. We are here to help you while you help others. Give us a call, set up an appointment, let’s get something put together for you and your Non-Profit today. “With a new year comes new opportunities. Second chances. Do-overs. You get to leave the past behind and start with a clean slate! You can make this year better than the last. As this new year begins, try out these proven principles that will set you up for success. Related: Take advantage of this year’s clean slate and take Financial Peace University. 1. Let mistakes stay where they belong. There’s a reason the rearview mirror is smaller than the windshield. Looking at what’s ahead is more important than looking at what’s behind you. Yes, you need to take responsibility for your past, but that doesn’t mean you have to stay there. You can’t be excited about the future if you’re living in the land of regret! 2. Let experience teach you. Whether it’s those mistakes you’ve made or the unexpected trials that knocked you off your feet, learning from them can be fuel for future success. When asked about his many failed inventions, Thomas Edison once said, “I have not failed 10,000 times—I’ve successfully found 10,000 ways that will not work.” Failure deepens your compassion, forgiveness and empathy. It can give you more self-awareness, improve your skills, and motivate you to work harder. 3. Let gratitude decide your outlook. When you choose gratitude, you enjoy better relationships, feel better physically and emotionally, improve your self-esteem, and even sleep better at night. There are no downsides to seeing through the lens of gratefulness, but the benefits can radically improve your life! There are no downsides to seeing through the lens of gratefulness. We want to come alongside you to help you win. Whether you’re trying to get out of debt, start a new business, or plan for retirement, we hope you’ll turn to us as your trusted source for great content and life-changing truths. We believe in you and your future! At DiSalvo and Company, we are always on the look out for new ways to help our fellow business owners, and the people in the communities where we live and work. Remember, having a good plan will help your business stay on track. Finding ways to cut waste will also help you keep more money in your pocket, both in business and in you personal life. It’s the most wonderful time of the year. All the paper is flowing and the numbers are growing and we’ll be of good cheer. Okay, so for some people this is NOT the most wonderful time of the year. But at DiSalvo & Company CPA’s we both LOVE and hate this time of the year. We love it because we get really busy helping people get the best tax preparation and advice that we can offer. The Fact that some people are going to wait until the very last day to bring in their information, we don’t like so much. But we know it will happen, and so we are prepared. 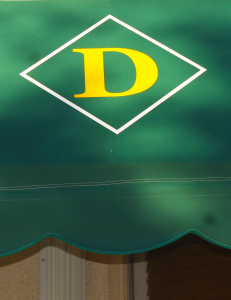 At DiSalvo and Company, we also wish that people would come and see us more during the rest of the year. There are things they do during the year, that if they had consulted us, we could have helped them to save money, or invest more wisely, but I guess that is a conversation for another day. So what is it that we do that we think is so wonderful at this most wonderful time of the year? 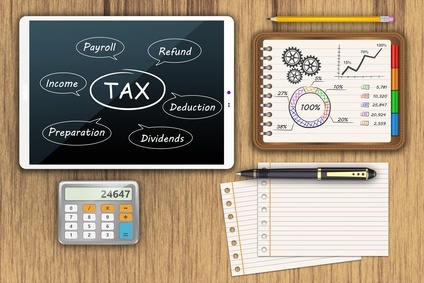 Well, we do offer business tax preparation services for many different types and sizes of businesses whether you have one location locally or operations in multiple states. It is our job to check and see about every where that we can save you money so your business can realize higher profits. Tax Returns for Individuals – we make sure you get your tax return back fast with our income tax preparation services for individuals. Our deductions or credits so you get the highest tax return possible. In addition to traditional tax preparation, we’re qualified to prepare trust, gift and estate tax returns. We meticulously prepare these types of returns and file them on time to avoid penalties. You run a non-profit? Have no fear, here at DiSalvo and Company, we provide Form 990 tax returns for churches, charities, foundations, and other non-profit organizations. Just please don’t wait until the last minute, make an appointment today. Let’s get this done. Are You Saving Enough Money? Incomes are rising, unemployment is going down, new businesses are popping up and things in general are looking quite a bit more hopeful than they did just a few years ago? For some of you, that means you had a great year, and perhaps you used some of that new found money to purchase things you have been putting off for several years. It also means that you were able to pay off some debt, and even save a little money. This year it might be a good idea to save a little more of that money. Look at your budget, see where you got a little careless with your spending in 2016, and perhaps you can cut out some of those expenses, are at least bring them down, and start saving a little more. “Roughly half of Americans are saving 5% or less of their incomes, including 18% that are not saving anything, according to a survey from Bankrate. Only about a quarter of people are saving more than 10% of their earnings. So how much should you be saving? Bankrate recommends 15%. “Between emergency savings and the ever-increasing burden of retirement savings that is on the individual, the goal should be 15% of your income,” said Greg McBride, the personal finance website’s chief financial analyst. Currently, one in seven people are saving more than 15%, the report showed. Those in the middle class are proving to be the super savers with 35% of people with an annual income of $50,000-$74,999 saving more than 10% of their earnings. Of those taking home more than $75,000 a year, 32% were saving more than 10% of their income, according to McBride. If you are a member of a Credit Union, it’s easy to sign up for automatic deductions from your Payroll Checks. Or, if you use online banking, just have an automatic transfer set up to take a small amount our of your regular checking account each month. You can always add more to that on months when your income is a little higher, or expenses are lower, but at least you will have something in savings. We can help you go through your statements and even give you some advice on the best type of investments. It’s a New Year, and I don’t know about you, but I always feel like a new year provides us with a clean slate. Everything that was bothersome about the previous year is temporarily cast aside and I feel like anything is possible. that feeling isn’t often sustainable for a long period of time, but it can pop back up here and there. Many of our local businesses here in Indian River County and Brevard County experienced rapid growth over the past couple of years and because you all have been so busy, it was hard to spend time looking to the future, or even implementing new processes which could have made things better. But it might be nice to take a few days to stop, breathe and think about what you could do to keep the momentum, while making things work more smoothly. Perhaps there are even ways to increase the profits you make from all of this new business. With rapid growth there often comes the pitfalls of inefficiency. Perhaps you have simply limped along without a bookkeeper, and without a good software package for tracking leads and closing new customers. Maybe your HR manual is out of date, and your computer systems,, are they running as efficeintly as they could be? Is it time to perhaps invest in your business in order to streamline processes and become more efficient? Do your sales people find it easy to enter orders? Does your back-office personnel have to use different software to track things? Is there one software package that could integrate both, while also being end user friendly? Sometimes when a company gown too fast, old procedures are patched up enough to keep things going, but they really aren’t appropriate for a larger company, and it could be time to take a moment to look at those things. Talk to your people, if they have come to you from another company, that company may have had some tools which your company could now use. Make certain you get suggestions from the people who will be using the new tools, or you might get push back, which could make any changes less effective. There will always be people who don’t want to change anything, ever. Here’s hoping that you, as the head of your growing company, are not one of them. Here at Central Comm we are always striving to stay fresh and current, as painful as that can sometimes be. For many folks, even systems that now longer work properly can be more comfortable than learning a whole new way of doing things. But most of the time, once you get past the learning curve, you can find that a different way of doing things which takes advantage of new software or hardware, may make your work life easier. With so many changes every year on income tax filing and regulations, it can be beneficial to have a professional who has your back with the IRS. 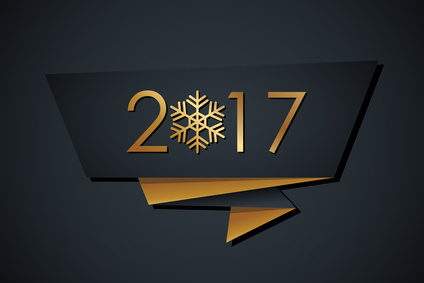 DiSalvo and company is here to help with your year end planning and to get you ready for next year. Let us take the confusion out of this important time for you. According to the National Society of Accountants these are several key elements that need to be considered. “Keep an eye on AGI: Since some tax benefits — including itemized deductions. personal exemptions, and education and adoption credits — get phased out depending on a taxpayer’s adjusted gross income, deferring income may also make sense depending on their current AGI. Max out retirement accounts: If a taxpayer’s employer offers matching, then maxing out contributions to a 401(k) is as close to a no-brainer as you can get – but even without matching, sequestering income in 401(ks), IRAs, Keoghs and the like is still a great deal. Tax-loss harvesting: Even in the current bull market, a portfolio can contain some duds – but they can still be useful! Taxpayers with large amounts of taxable gains in 2016 may want to offset some of those by realizing losses on those duds to lower their overall capital gains exposure. Tax preparation is our area of expertise. We also help businesses build a plan for their companies success in a new year. In Indian River county most of our businesses have less than 100 employees. they are the lifeblood of our beautiful county, they keep people employed and even help start more small businesses. Being a small business owner is hard enough throughout the year but tax time brings its own special challenges. 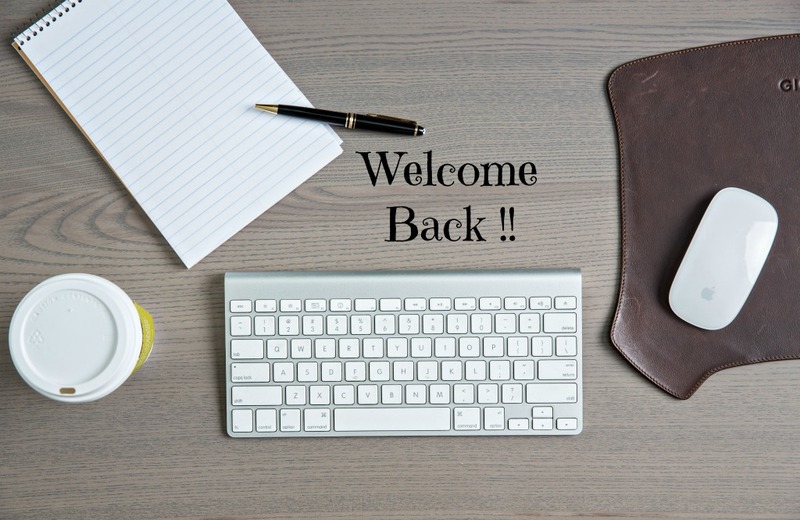 DiSalvo and company is here to help with your end of year planning and to get you ready for next year as well as planning best for your business for the coming year. 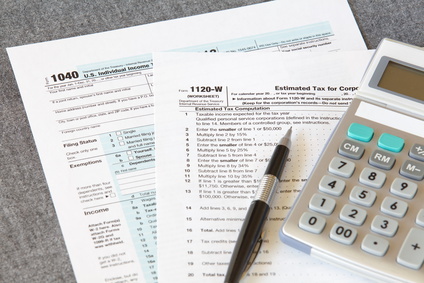 With so many different changes put into effect in 2015, taxes can be extremely confusing to the Average Joe. Now compound that with all of the incentives for small businesses and you have a recipe for disaster without adequate guidance. According to Accounting Today, small businesses have these updated tax incentives to consider during their preparation time this season. Charitable deductions for the contribution of food inventory. Write-offs for leasehold, restaurant, and retail improvements. Before you get bogged down in all of the other end of the year business, take a moment to book your appointment for early next year. The earlier you start your tax prep, the sooner we can get things prepared for you. It also helps us advise you on what things we can help you implement for next year. 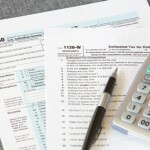 With the end of the year, all new questions and concerns about filing your income taxes arise. Now is the time to start thinking about last minute adjustments that need to be enacted now to make your filing even easier. DiSalvo and Company is here to help with your end of year planning and to get you ready for next year. According to Accounting Today here are several tax tips that will benefit individuals this year. “First – what’s not changing: While President-elect Trump is in a strong position to enact his promise of lower tax brackets next year, it’s important to remember that the current income tax rates of 10, 15, 25, 33, 35 and 39.6 percent are still in effect for the tax returns being filed next mid-April. The standard deduction amounts remain $6,300 single/married filing separately, and $12,600 for married filing jointly. The standard deduction for heads of households, however, rises to $9,300. Deferring income: If the president-elect does manage to lower and simplify the individual tax brackets per his plan, that means rates next year will be lower, so it might be worth it for individuals to consider deferring some income into 2017. That may mean getting a bonus in January, instead of December, or waiting to redeem a savings bond, or putting off debt forgiveness income. If this all sounds a bit overwhelming, not to fear, DiSalvo and company are here to help with any and all of your Tax questions. We keep up with the latest in Tax rules so that you don’t have to worry about anything but your own business, so give us a call. Do You Manage Your Money? As I was looking for some ideas for just what to post about this month, I came across several different sites that wrote about people’s spending habits. I already posted a blog for self employed people looking to purchase a home, so I decided to post about the kind of home that might help to save money. If you watch the Home Improvement Networks, HGTV, DIY Network, those tiny houses are all the rage. While I, myself, would succumb to a bad case of claustrophobia if I had to squeeze myself into 200 square feet, I did get to thinking about something. When I was a child, we did not have great big homes, We had big yards, but the homes were not all that large in square footage. These days people who aren’t squeezing into a tiny house are apt to spread out into a large house. I don’t see anything wrong with that, but if it’s your mission to enjoy life, live in a nice home, and still have disposable income to save for retirement and a little fun, then maybe smaller is better than bigger. A newer, block home is very energy efficient, and heating and cooling an 1900 square foot single level home with energy efficient windows, insulation and a brand new energy efficient heating and cooling system, will cost you less to purchase, less to insure, and your utility bills should be significantly lower. Buy less stuff. So many of us end up with way more stuff than we need. So curb the impulse buys, and before you head out to shop, check your closet first. Look and see which of the clothing you currently have is still good, get rid of the stuff you don’t wear, then look for new items that will coordinate with what you already have. That way, your mounting clutter won’t make you feel like your home is too small. A couple of times per year, pretending like you’re preparing for a move, and clear out anything you don’t use regularly. Shop the sales, but only shop for things you actually need. You notice I wrote need, not want. Nobody needs 10 pairs of black heels, or 10 pairs of limited edition kicks. Save that money instead. that way when emergencies arise you have the cash to deal with them, and you won’t have to use credit. Make certain your home looks nice, and well kept, but don’t get into extensive remodel projects just to have the latest and greatest. Finally, always pay yourself. If there is disposable money, put some of it in the bank before you go on a splurge. Use some of that disposable income to pay a little extra on your mortgage each month. You would be surprised how quickly that can add up, and the more you pay down your mortgage, the quicker you can live mortgage free! !